Poet, journalist, playwright and broadcaster Ian McMillan introduces an exciting competition exploring the connection between words and music. It’s run by the BBC Proms in association with The Poetry Society. 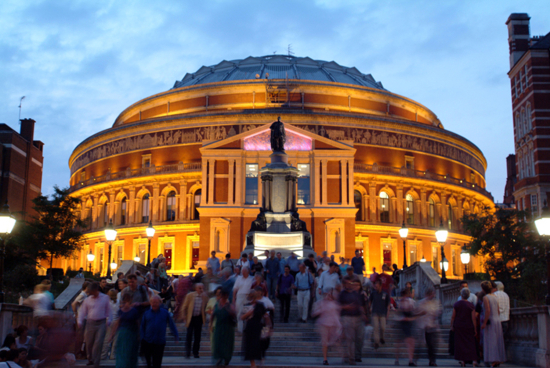 The Proms is an eight-week series of music concerts and other events, held mainly at the Royal Albert Hall in London. The 2015 season includes classical composers such as Bach and Beethoven, as well as special concerts involving Sherlock Holmes’ favourite music, a swing band, a Sondheim Cabaret and much more. Hello, I’m Ian McMillan; I’m a poet and I present The Verb on BBC Radio 3. I want to tell you about the Proms poetry competition for children and adults. It’s to do with words and music, which have always seemed like good pals to me ever since I listened to the psalms in church as a child and I had to write a story about the words of the great hymn ‘Hills of the North Rejoice…’ at junior school. All you have to do is to write a poem inspired by any piece of music in this year’s Proms season. There are two age categories: ages 12-18 and 19 plus. Your poem will be judged by me and by the award winning poet Kate Clanchy. The winners will get the chance to have their poems read out at a Proms Plus event on 8th September with Kate and me, and then broadcast on BBC Radio 3. You’ll also be invited to come to that night’s Prom concert at the Royal Albert Hall. Here’s a few tips to help you on your way. First: don’t worry. People often worry about their poems; it’s as though they’re going to visit a fearsome auntie and they think they’re going to do the wrong thing or speak too loudly or knock something over. Secondly: remember poetry is often about doing the wrong thing or speaking too loudly or knocking things over. In other words: be bold with your work. Don’t forget that in a competition it’s often the startling poems, the ones that are a bit different, the ones that lead the reader down the garden path before surprising them with a treat that do well, because it’s the unusual poems that float to the top. So, think about the piece of music. How does it make you feel? Does it remind you of a place you’ve been to, a person you know? Does it feel like a story or a description or simply a bunch of words thrown into the air? Any of those are fine: what I’m looking for is your personal response to a piece of music in the Proms. You don’t have to tell me the tale of how the music got written or what the composer meant by it, unless you really want to. Think outside the box as marketing people in bright ties and designer glasses say. And remember: I want to be startled! 1. It doesn’t have to rhyme, but it can. 2. My personal challenge to you is: try hard to avoid the word music. That’s not in the rules, that’s just to make you think. As a winner of the BBC Proms Poetry Competition, I cannot thank the judges and BBC Proms team enough for selecting my poem, ‘The Art of Splinters’ inspired by Bach’s St John Passion. To submit your poems, go to the BBC Proms Poetry Competition page. The deadline is Friday 14 August 2015. Good luck!